The Houthi rebels who have taken over Yemen, a turbulent country abutting the shipping lanes through which a lot of the world’s oil and cargo shipping pass, are making new friends around the world as they consolidate their power. The government of president Abed Rabbo Mansour Hadi, who had developed close ties with the United States, is out of power, and the Shiite group that ousted him is taking to new partners who aren’t friends with America: China and Russia. A source connected to the Houthis in Sana’a told the International Business Times in a Skype interview that government representatives from China and Russia met separately with Houthi leaders last month to talk about economic alliances, just four days before Rabbo Mansour Hadi was forced to step down on Jan. 23. Local media in Arabic also reported on the meetings. Yemen is the poorest country in the Arabian Peninsula, with a GDP per capita less than one-tenth of neighboring Saudi Arabia and a collapsing economy due to the rising violence in the country. But it sits at the mouth of the Bab el-Mandeb strait, leading to the Suez Canal via the Red Sea -- a place which sees about 8 percent of world cargo shipping, and 4 percent of the ships carrying oil and petroleum, pass every year. Houthi rebels stormed the capital Sana’a late last year, beginning a surge that would lead them to taking power on Friday, when they dissolved parliament and announced that a five-member council would lead the country for an interim period. Clashes between the Houthis and forces loyal to the president led government officials to close the country's main port in the southern city of Aden last month, raising fears that world commerce with Yemen would stop completely. The Chinese representatives met with Houthi rebels last week, according to a statement in Chinese posted on the Chinese embassy’s website. Oil makes up more than 57 percent of Yemen's total exports. China has invested heavily in Yemen’s oil industry since 1999; today state-owned Sinopec produces, together with another Chinese company, Sinochem Corp, approximately 20,000 barrels per day, eight percent of Yemen’s total production. Russia is not as involved commercially in Yemen, but recent U.S. and EU-imposed economic sanctions on Moscow have made the country particularly interested in boosting trade with other regions: “Worsening relations with Brussels and Washington, as a result of the Crimean crisis, mean that trade with the West will decrease and investors will stay away from Russia in the near future,” said Yury Barmin, an analyst focusing on Russia’s strategy in the Middle East, and consultant for several oil and gas industry firms in the region. Russia also views Yemen as a fertile market for weapons sales, as the Soviet Union was a major provider of weapons to South Yemen before unification with the North. According to local news reports, Russian representatives met with leaders of the Houthi rebels at the beginning of January and visited the ministries of oil and fishing. The group discussed the potential for commercial investments in the fishing industry. Hussain al-Bukhaiti, a pro-Houthi translator and journalist in Sana’a with close family connections to the group, recently told IBTimes that the Houthi plan is to use oil revenues and exports to become financially self-supporting. 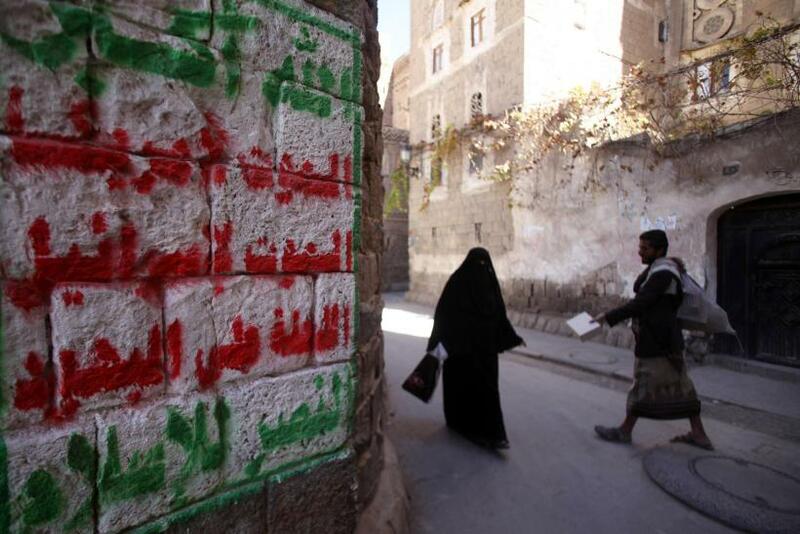 “If the Yemenis can fight corruption, then in a few years we won’t need any international help,” he said. For now, though, no Yemeni government can function without funding from outside supporters. For decades, that patron was Saudi Arabia, which has been one of Yemen’s biggest financial supporters and propped up the government of fellow Sunni Hadi, but cut aid when he was forced to resign. It is unclear if the kingdom will continue to support the new government in the name of regional stability, but if it doesn’t, Yemen will be faced with the need to find money quickly to stave off collapse.